Although the first air cadet unit was raised in Bournmouth in 1928, the first squadrons to be formed in a privately funded national organisation were part of the Air Defence Cadet Corps in 1938. Thousands of youngsters joined and were able to learn about aircraft, aerodynamics, navigation, mechanics and other subjects not taught in schools. The organization was to become known as The Air Training Corps (ATC) and as war loomed it was considered a useful RAF recruitment tool to attract potential airmen and ground crew. Throughout the war ATC cadets supported the home defences by fire watching, as messengers and as observers, working alongside the Home Guard, the fire services and other vital organisations. During the second half of the 1900s the corps continued to thrive. Girls were now included and retired RAF officers and other ranks continued to take an active part in each squadron. There are now over 900 squadrons within the UK, providing the same skills to modern youth and teaching them the importance of personal responsibility and teamwork via annual camps at RAF stations, adventure training and flight experience. 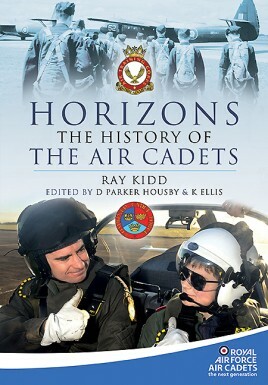 This book looks at all aspects of the Air Cadet's history and tradition, including the RAF sections of the Combined Cadet Force attached to public and grammar schools. It concludes with an analysis of what subjects and courses are currently available with many past and present illustrations. As seen in The York Press and The Scarborough News.